Home / External Relations / New Year Resolutions: What Is Missing in Central Europe? 2019, the “Year of Change” has finally come. 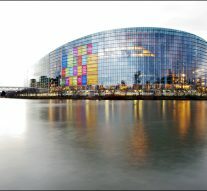 This year the European Union will host a plethora of main events, starting with the European Parliament elections in May. This year, the European Commission will be renewed and Mr Juncker, the current EU Commission President, declared already he will not run for a second mandate. In this framework there are several opportunities for movements and parties which have invested resources and have grown solid roots at the national level. In Italy, the 5 Stars Movement already called on parties across Europe to join the army that will run for turning the current Eurocracy in a fairer and more sustainable reality to the EU citizens. Thus, polarisation seems to be the key-word of this new year of electoral campaigns. Competitors are divided in two: center against periphery; West against the East. The so-called “establishment”, headed by a pro-European leadership represented by the French President Macron (and few others), is insisting on gathering together all the useful forces against an even more jeopardised political framework, where people would take the streets rather than go to the polls. Rage exploded in France showing the potential revolutionary charge of those who have considered themselves the leftovers of globalisation. All this misused power fascinates political parties which are experiencing a period of deep crisis. For example, French far-right leader Marine Le Pen recently launched her campaign for the May 26 European Parliament election with an appeal to the broad “yellow vests” protest movement that has rattled the government. Similarly, in Germany, the leaders of the far-right AfD (‘Alternative for Germany’) adopted a manifesto calling for changes in the EU, ranging from the abolition of the European Parliament to Germany leaving the eurozone and the common EU security and foreign policy. The main idea would stand for a return to a Europe of Nations. Even though the 5 Stars Movement never put down the European Project, the Italian party has decried the “waste of money” of the European Parliament’s seat in Strasbourg, putting its abolition at the centre of the party’s campaign for the European elections in May. Moreover, news from Poland and Hungary stir up old prejudices about the Eastern Countries, harming the European integration process. No political meeting in Brussels, Berlin, or Paris, is complete without the remark that the curtain of illiberalism is finally settling on Central and Eastern Europe. Always referred to as the tail of the European Union, after the fall of the Berlin Wall, the talk was of their “catching up” with the Western Countries. Reviving this tradition of polarisation is not an intelligent way to picture the real state of the art. This is of course a terrible generalisation, and, even if abuses committed by the Hungarian and the Polish governments are real, it has to be kept in mind that this is just one slice of the cake. Further, being incoherent and weak, this generalisation would not put out all what recently happened in Italy (anti-immunisation hysteria) and Denmark, where the government decided to expel asylum seekers to an island once reserved for contagious animals. Finally, keeping up with this “same old story” is obscuring dissenting voices in Central Europe. It is a fact that, while “yellow vests” were protesting in Paris calling for stopping immigration, abolishing gay marriages, and quitting the EU, in Central Europe, from Budapest to Bratislava, people took the streets for independent courts and free media, asking for s rapprochement with Brussels. If these voices would not be heard, and people from this side of Europe will start to perceive themselves as leftovers of the EU integration, the Central Europe collapse would finally become the new problem to solve for whatever European Union will come up in the aftermath of this year’s elections. Next Article » Employment Related Issues: a Key Aspect Toward Next European Elections?